May 22, 2016 - by Grimwald - 8 Comments. While everyone is talking about Captain America: Civil War, I’d like to take the time to discuss DC Comics’ latest attempt at matching Marvel Comics’ Cinematic Universe. 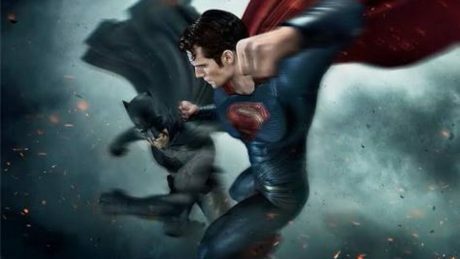 Batman Vs. Superman: Dawn of Justice promises audiences something similar to the Avengers series with various superheroes, each with their own respective franchise, duking it out on the big screen. Batman Vs. Superman was especially hyped considering that the Caped Crusader and the Last (or is he?) Kryptonian are some of the oldest and most iconic superheroes in comics and are probably the first ones to come to mind when the word “superhero” is uttered. One has to note however, that the film didn’t really perform as well as expected. Truth be told, while Batman and Superman have been more popular throughout the decades they’ve been put to comics, it’s sad to note that they were easily overshadowed by the ever-patriotic Captain America and his latest film. However, that’s not to say that Batman Vs. Superman: Dawn of Justice was not without its merits which I will soon be discussing here. Truth be told, I was very impressed with the fights in the film were portrayed. While the Dark Knight trilogy certainly remains the best Batman movie adaptation to date, there’s little to contest that Batman Vs. Superman had better fight scenes. While yes, it may seem less realistic than the combat seen in the Dark Knight series, it nonetheless makes it much more awesome. From common thugs being thrown around by the sheer force of Batman’s blows, the Caped Crusader’s helmet deflecting a bullet to Superman delivering a coup de grace to iconic villain Doomsday, Batman Vs. Superman shines on with outstanding visuals and awesome scenes that can leave you breathless. One thing I hate about local movies is how, more often than not, side characters including the sidekick of protagonists are made to look like total idiots who just serve as comic reliefs for the film or show. Well, in Batman Vs. Superman, this is clearly not the case. With Jeremy Irons as Alfred Pennyworth and Laurence Fishburne as Perry White, whatever criticisms were leveled against the protagonists, it has been said that some of the side characters more than make up for it. Alfred Pennyworth, loyal retainer and father figure to the Caped Crusader is portrayed by Jeremy Irons and plays the character superbly complete with British stuffiness and being a sort of “conscience” to the volatile vigilante. This can be seen in the way that he tries to convince the distraught and cynical Bruce Wayne that Superman was not their enemy and that there was the possibility that he was being manipulated by an external force. Also, his constant supply of snarky advice as well as the explanation for the “bat-voice” was also a decent touch. Laurence Fishburne as Perry White, Clark Kent’s editor in the Daily Planet was another nice addition even if the latter character received a “race lift” as he was clearly a Caucasian in the comic. Truth is, the grayness of his character was quite welcome as, while he was certainly a kind man at heart, he is still depicted as a man who places making money as a priority. While his character may seem like a jerk at times, his dedication to his work and its prosperity makes him a little more relatable to the audience than similar characters in other films. Wonder Woman. Just Wonder Woman. No other words necessary. Perhaps the biggest complaint about the film is the character derailment or the inconsistency of the characters’ behaviors. The thing is, it would be slightly more acceptable if, say, the only inconsistencies were artistic changes to the characters from the comics. After all, everyone does that as even the MCU is loaded with many artistic changes. Unfortunately, Batman Vs. Superman comes out as a disappointment as there are a lot of inconsistencies within the film itself. It’s like some characters become completely different people later on in the movie. I mean sure, people do change but they don’t exactly change in just the course of a few minutes. Another complaint is the fact that all the characters just seem too dark and unpleasant to like. Truth be told, people found Superman’s holier-than-thou attitude towards Batman a little off-putting while some found Batman’s vigilante justice and willingness to kill as a mangling of the character proper. Of course, both characters certainly have a point. For instance, Superman simply didn’t trust Batman’s brand of “justice” as he only targeted criminals who were usually just pushed by their circumstances into criminality. Batman, on the other hand, disliked the kind of “worship” Superman was getting just as, perhaps, I disdain people who worship public figures. Unfortunately, the characters are played as just all too “emo” for their own good. Indeed, if both characters could just think past their egos, perhaps a lot of the more disastrous incidents in the film could have been averted. Of course, their enmity towards one another creates conflict, their brooding and self-righteousness is taken to ridiculous levels that, at the most, seems like a cheap way to add more hours and dramatic scenes to the movie. As a suggestion, they could have just expanded Wonder Woman’s role and her influence on the characters in the film. Aquaman. Just Aquaman. No other words necessary. Previous Article The Rodrigo Duterte presidency could be besieged by a hostile Congress and power-hungry Leni Robredo! Gal Gadot, in that costume. No other words necessary. I may not be much of a comics fan, buy I seriously couldn’t believe it when I found out that that “bagets”-looking guy in the film was revealed to be Lex Luthor. I still couldn’t get over, especially character-wise; it just doesn’t feel like Lex Luthor at all…..
Yeah, I will have to agree the film was a flop that I find the film confusing and all (or just because of a combination of not being able to stand big theater rooms anymore [as I now prefer watching through a computer] and having a hard time keeping awake in the day [cuz I’m a night shift worker]). Perhaps I will need to watch it again to gain a better understanding….. Yes, I think that Lex Luthor should be BALD. His head should be BRIGHT and SHINY, like a light bulb. Sometimes, people agreed against their will just because they have nothing to do with it. Goodluck to Philippines..
Here’s the deal: if you are not a big comic book fan, you will not appreciate Watchmen. This was the case for me when I first saw the movie back in ’09. I didn’t grow up reading comic books. I only watched the animated series and movies when I was young (e.g. Batman: TAS, Superman: TAS, X-Men: TAS, etc.). The failure to connect both comic book and non-comic book audiences was, in my opinion, Snyder’s biggest flaw. How do you impress a non-comic book audience considering the fact they comprise the majority of movie critics on Rotten Tomatoes? Simple, you make the movie good enough for them to want to pick up the source material. You make them care about these characters. Snyder failed at this. I never bothered to pick up a Watchmen comic after watching the movie. I may just do so now for the sake of it. Same goes for BvS. Not everyone has read every comic book or graphic novel starring Batman or Superman. Not everyone can possibly connect all the subtle references or easter eggs that the movie throws out. Hell, I’m pretty sure not everyone can recognize all the cameos of the Justice League members at first glance or any DC character for that matter. Don’t get me wrong. I really loved Goyer’s work on The Dark Knight Trilogy. It was a masterpiece as long as you ignore the heavily flawed The Dark Knight Rises. So why did he fail big time with BvS? Because he and Snyder tried so much to incorporate Christopher Nolan’s tone of Batman into the DCEU. This is a big no-no, especially if you have a pool of comic book fans who easily cry foul when there is a slight deviation from the source material. Sure, they can take a small change but Snyder and Goyer made a huge leap. The dark tone, as mentioned in this article, ruined Superman because it is not consistent with how we remember him. The tone works with Batman because it is consistent with his personality as well as the stories involving his character. If the DCEU wants to save itself, it needs a more diverse creative direction for each of the JL members because, as a universe, it has to have balance. What really saved the movie was Ben Affleck’s portrayal of Batman. I’m not surprised. DC has always had a habit of relying on Batman to save their necks. The last good DC movies had been about, well, Batman. Is it DC’s fault? Not really, it’s more of a problem with Warner Bros. Conceptually, the DCEU is a wonderful vision but it needs the right people to be executed to near perfection in order to compete with the MCU. I’m still hopeful Suicide Squad will redeem the failures of BvS. I know the rage that drives you. That impossible anger strangling the grief, until the memory of your loved ones is just poison in your veins. And one day you catch yourself wishing the person you loved had never existed, so you’d be spared your pain.